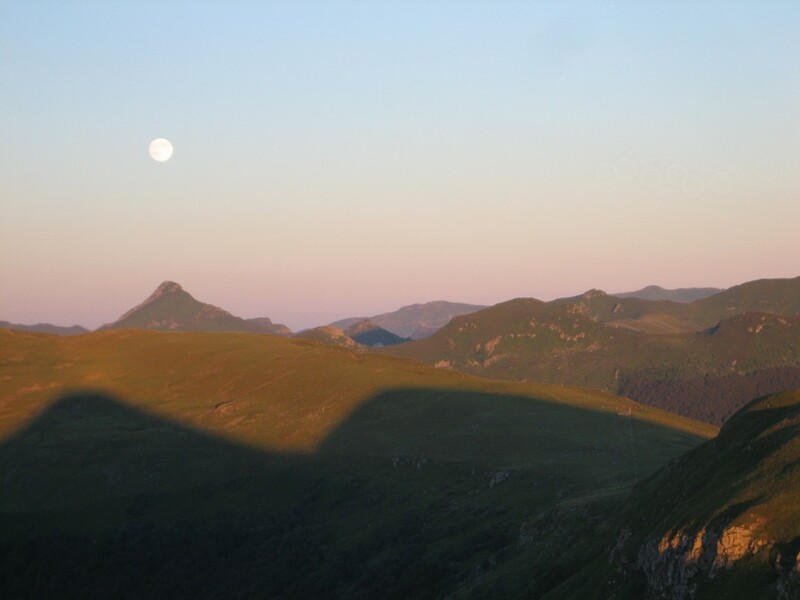 The beautifully scenic volcanic mountains of Cantal are situated in France’s Massif Central. Its complex volcanic history dates back almost 13 million years with activity ceasing around 3 million years ago. 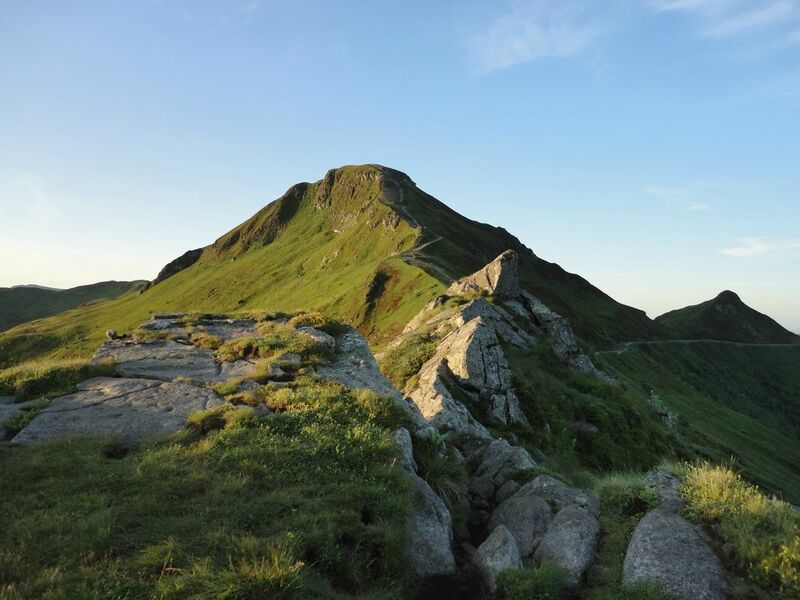 The landscape has been heavily eroded over time and today’s highest peak the Plomb du Cantal stands at 1855m/6086ft, with some of the most spectacular and accessible views in France it is a prime destinations for hillwalkers, nature lovers and food enthusiasts. 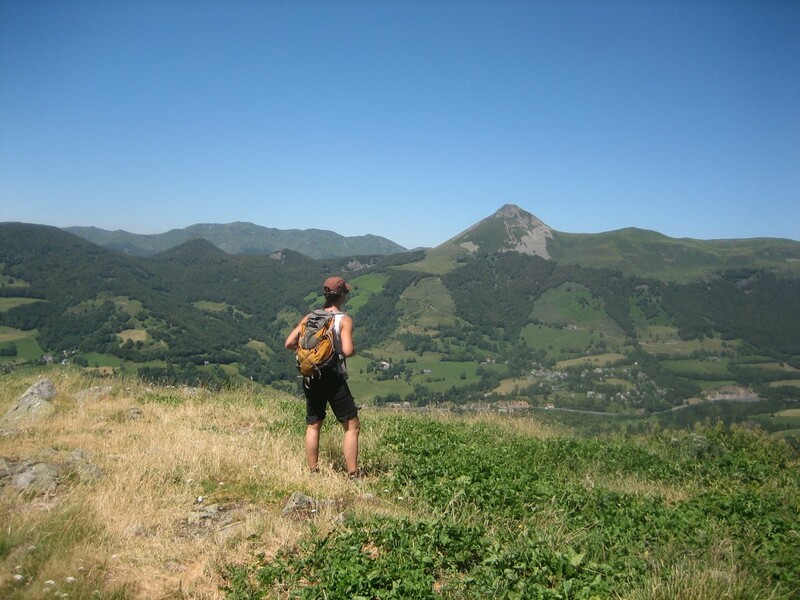 As a Professional Mountain guide and wildlife expert I will offer you the opportunity to explore the scenery of Cantal’s unspoilt wilderness. Tour members will have the opportunity to learn about the formation of these mountains along the way. 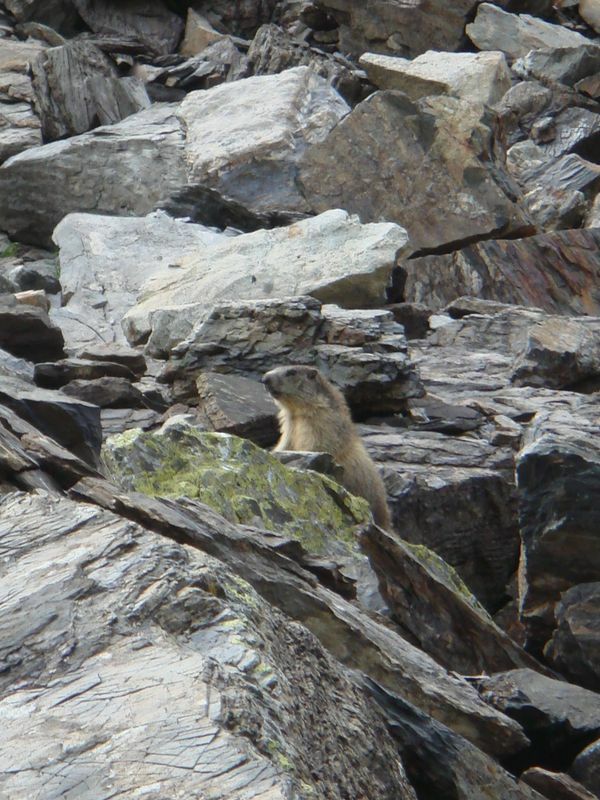 I will guide you to locations where you will have an excellent chance of seeing animals such as, Chamois, Marmots, Moufflons, Red Kites and so on. Dif. : EASY WALK suitable for novice walkers, from 7 years old. Duration 3H30. This gentle walk on a crest separating two ancients glacials valleys will give us some opportunities to observe and to explain with a playful approach the geological formation of the biggest European volcano! Dif. : EASY to MODERATE WALK suitable for novice walkers, from 7 years old. Duration 3H30. We will hike up through the forest to reach high pasture lands where we will use binoculars and a telescope to locate the biggest rodent from these mountains. Dif. : MODERATE WALK suitable for occasional walkers, from 9 years old. Duration 7H. Appart from crowds, we will walk up the wild side of the mountain and hopefully we will see wild animals in this beautiful scenery. 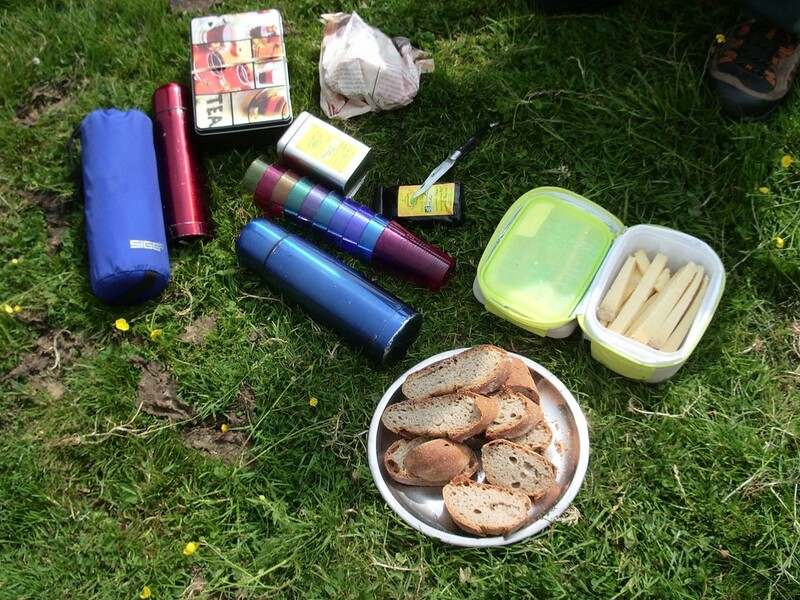 Picnic is included in the price of the service provided. You will eat some local products* that I have especially selected for their quality. *Cheese, cooked meats, bread, pounti (local delicatessen), mixed salad, wine, fruits, biscuits, tea or coffee. 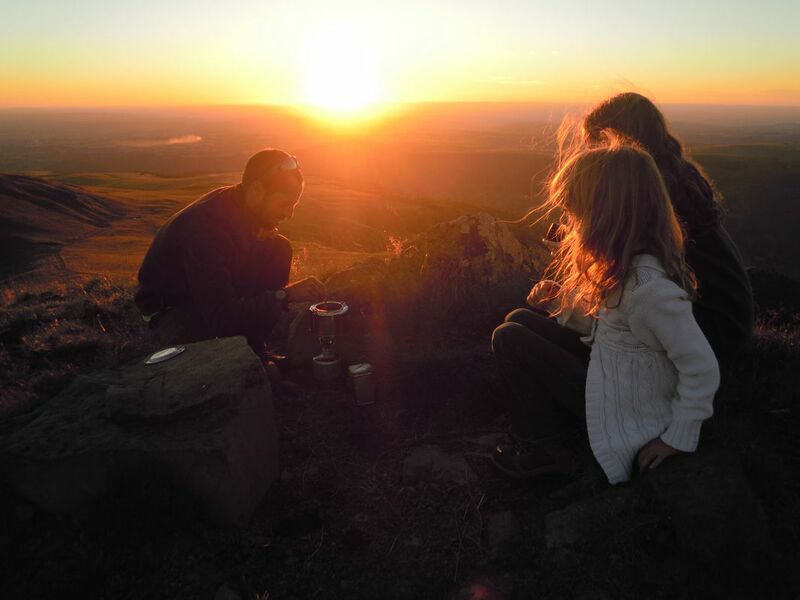 This pretty easy walk will lead us to the Puy Violent’s summit just in time to admire sunset on Cantal Mountains and enjoy a courtesy hot drink. Walking down with the help of the full moon or flashlight. Dif. : EASY WALK suitable for novice walkers, from 7 years old. Duration 4H. 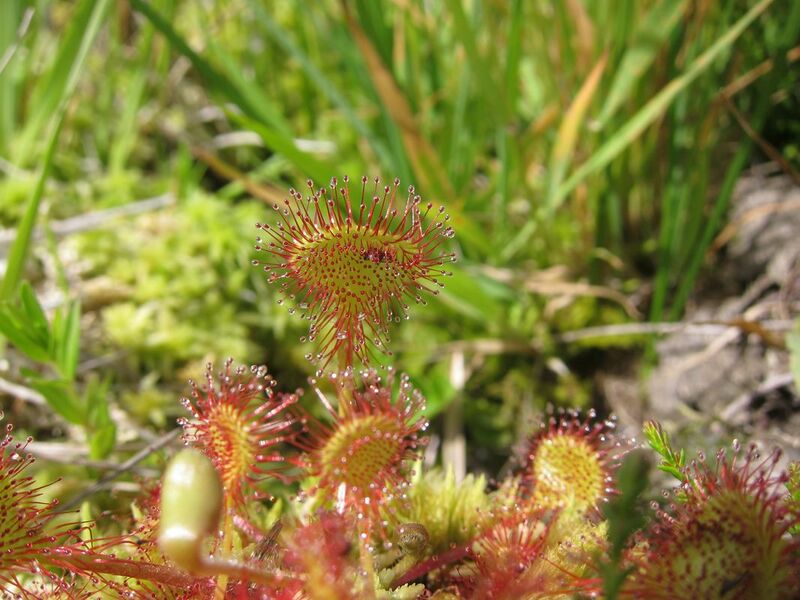 Walking through pasture lands, we will head to a wetland where we will observe two species of carnivorous plants. 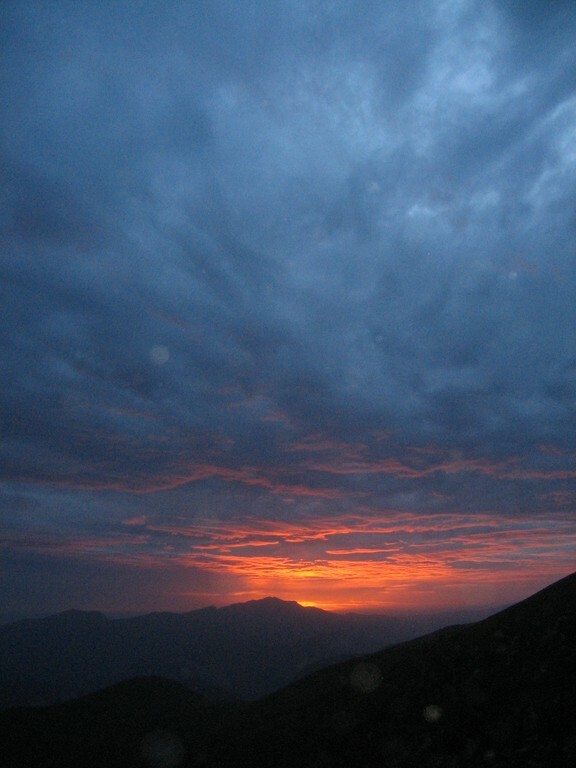 Then we will hike up to a panoramic point offering beautiful views on the surrounding summits. Soon we will reach one of the last working mountain farms (“burons”) in Cantal. You will observe the specific milking techniques for the Salers’s breed cows, learn how cheese is traditionally made, and enjoy a “goûter” (teatime) with cheese, bread, biscuits and a drink. 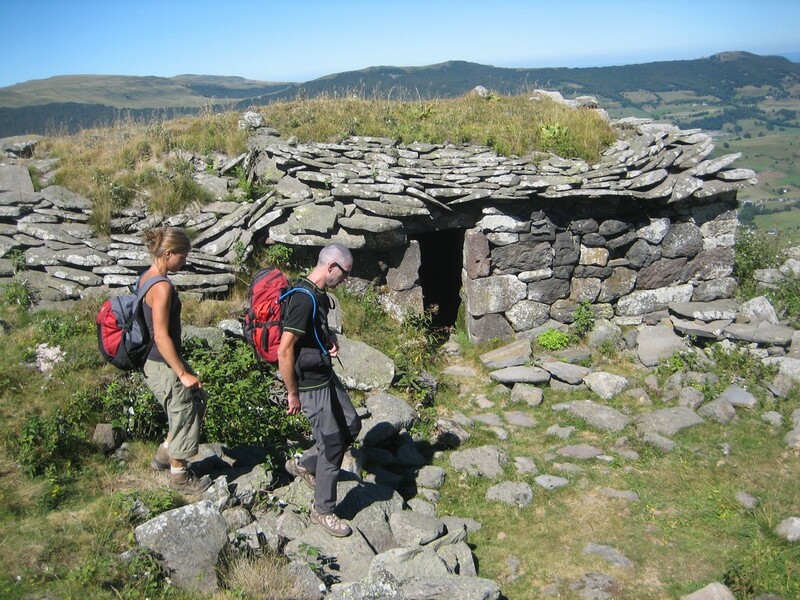 This walk from “Récusset” up to the “Puy Violent” offers truly spectacular and panoramic views and will introduce the history of mountain farms as we will observe the traditional architecture of a deserted old “buron”. 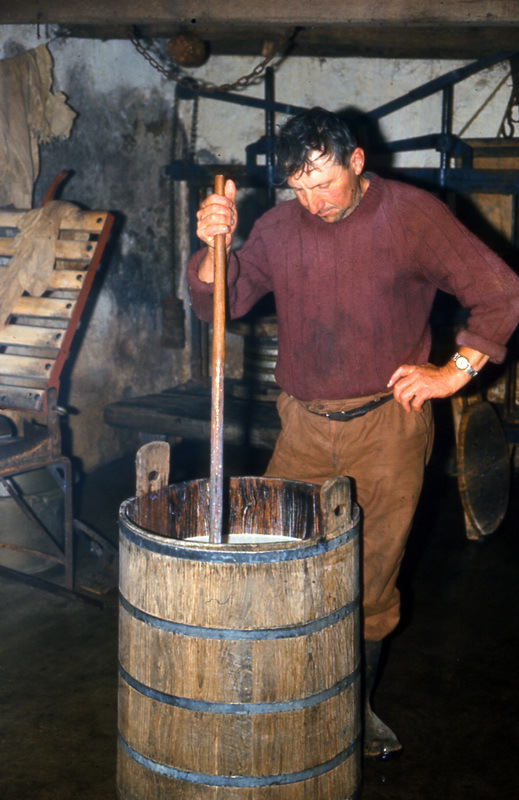 On the way down I will show you, with historic photographs, the past and traditional Salers’s cheese making. 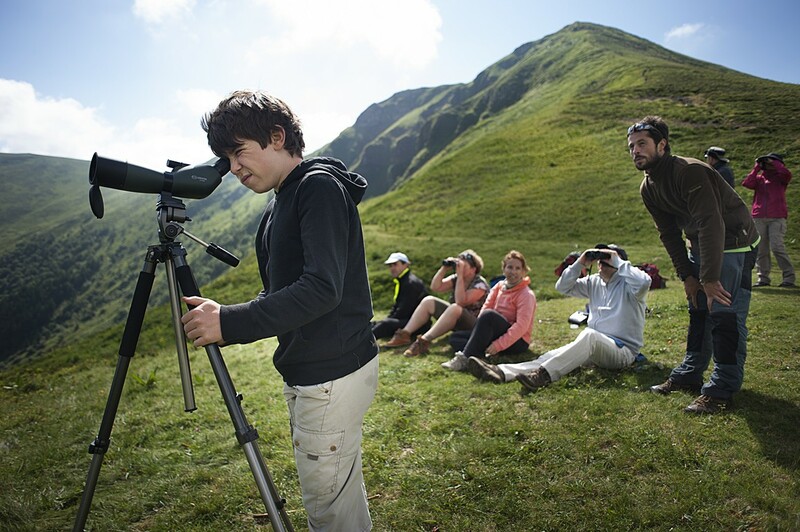 Starting from the “Jordanne’s” valley in the morning, we will walk up to a very central point of the Cantal Massif from where we will have good opportunities to watch wild animals with a telescope. From there the surrounding view on main Cantal’s summits is fantastic. 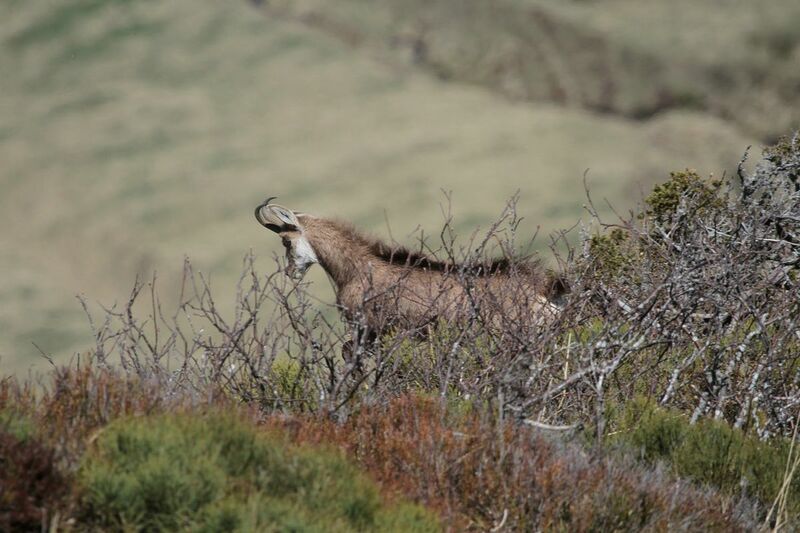 Several trails will give us various possibilities to explore the mountain, and to search for chamois and moufflons. 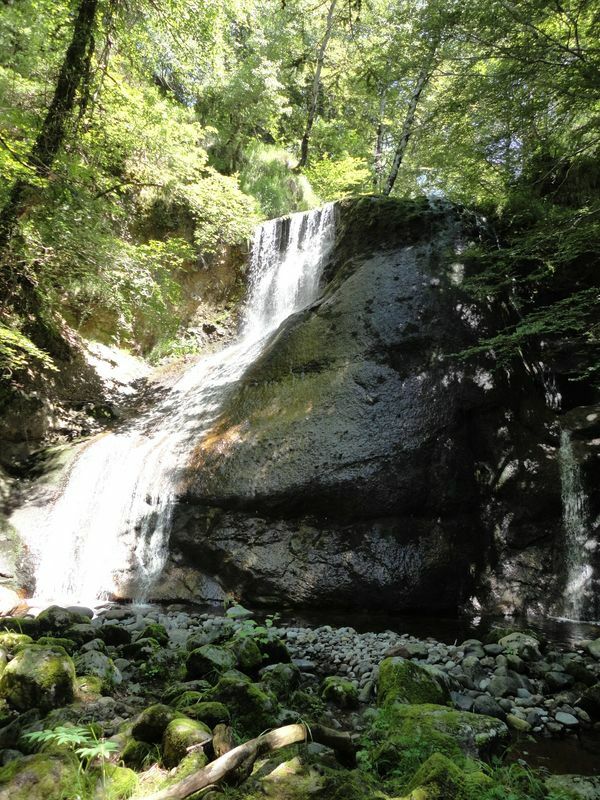 Walking towards the Puy Mary you will enjoy wonderful views of a landscape wich was formed over millions of years. 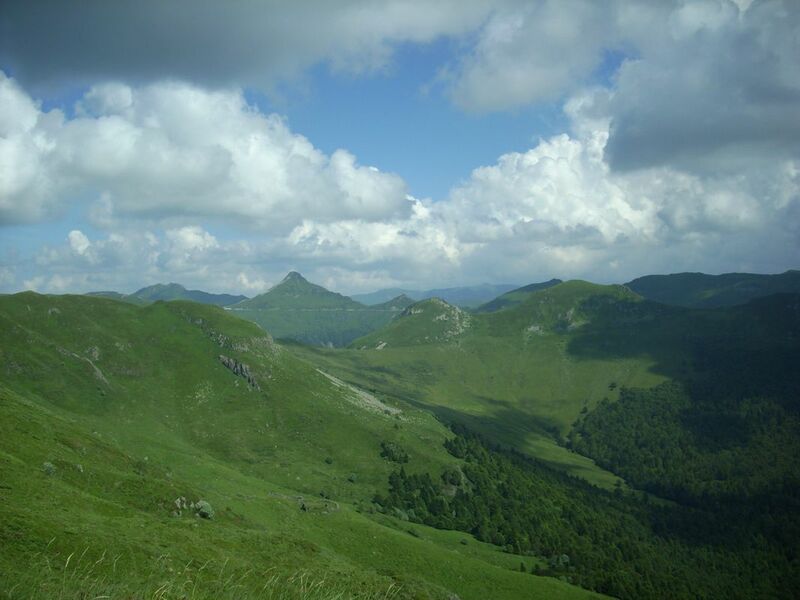 Our path looks down on two ancient glacial valleys and offers beautiful sights of Cantal’s high summits. On the way I will facilitate your crossing of the short rocky pass named « La Brèche de Rolland » which is a major feature of this mountain. !!! SPECIAL WARM DAYS !!! 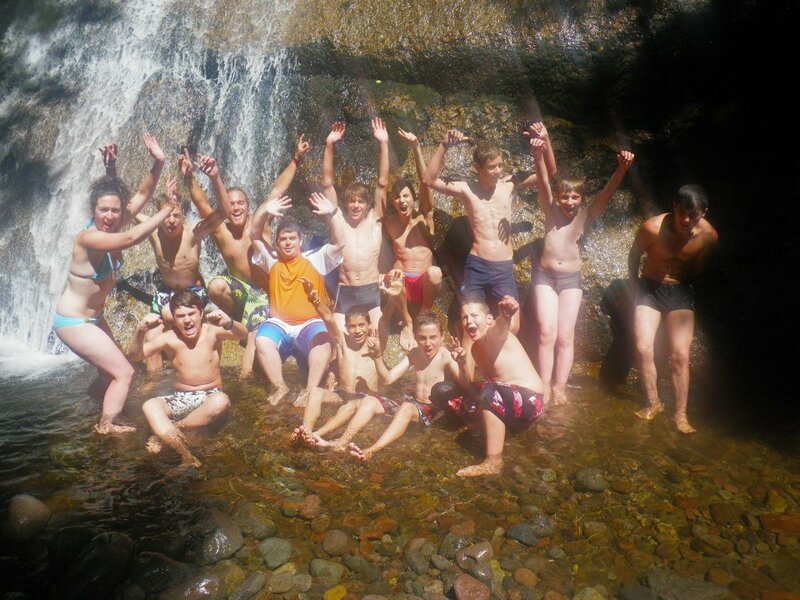 Any very warm day during summer, take your swimwear, towel, old sport shoes and spare clothes in your backpack as we are going for a 1km (0,6mi) long river walk. No swimming needed. Water will be at your knee level. I will bring an afternoon snack to eat at the bottom of a nice 15m (50ft) high waterfall, where three small natural pools are wainting us for a refreshing bath!